At 44" wide and 72" long, our rectangular Berlin Gardens Poly Garden Classic Iris Patio Table will comfortable seat six, allowing ample room for those perfect summer barbecues and relaxing long into the evening! With the umbrella hole and matching plug, you have the option to incorporate shade for those extra sunny days and convert back to your seamless tabletop when not in use! 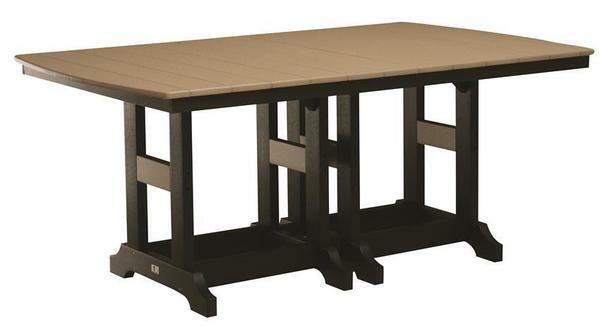 The maintenance-free poly material is handcrafted and finished to perfection by skilled Amish woodworkers, resulting in a Patio Table that is truly built to last decades - even when left outdoors year-round. This means that you can enjoy your outdoor furniture whenever you have the opportunity - without having to sand and refinish your pieces once the weather starts to warm. And, since it's backed by a twenty year warranty for residential use, you can be sure that your investment in outdoor furniture will last for many years to come! 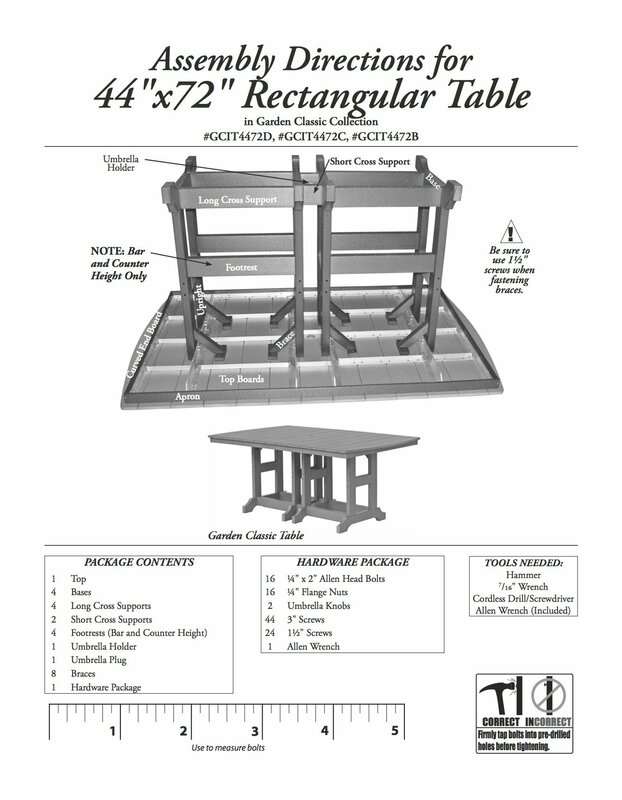 Call one of our Amish Furniture Specialists today! They can answer your questions and start your order over the phone! Toll-Free (866) 272-6773. There wasn't so much as a scratch on anything ! Hard to believe with such large pieces .